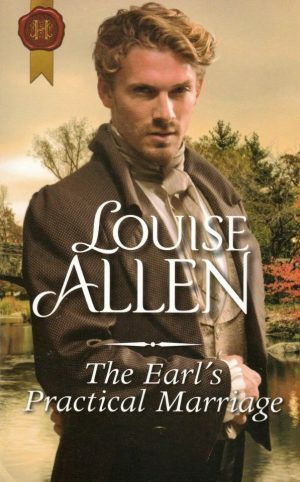 Giles Redmond, Earl of Revesby, is marrying childhood friend Laurel Knighton because it’s the only way to save his family fortune. Last time he saw her she was an unconventional tomboy and they parted in the midst of a scandal that sent him into exile abroad. Now she’s a beauty, and one he desires, but to secure her acceptance he must deceive her – and risk shattering her fragile new trust in him. Laurel held on tightly and looked forward, through the glass between the team of four and the postilions, to the horseman leading the way. He was sitting relaxed on a big grey horse that had as much of a raffish air about it as its master, its tail ungroomed and long, its legs covered in the thick dust of the road. It was not some hired hack, that was for sure, not ridden on such a loose, trusting rein by a man who looked as though he had spent so long in the saddle that he was perfectly at home there. Laurel pushed back her veil and narrowed her eyes at the broad shoulders, the comfortable slouch. It was most improbable, but there was still something familiar about the man. No, it isn’t familiarity, she thought. It is as if someone rubbed out a faint pencil sketch of a young man and then drew this one on the same sheet of paper with the ghost of the original showing through. Which was ridiculous. The only person she had ever known with such lapis blue eyes had been Giles Redmond and he had been an unprepossessing youth, his big feet and hands, large nose and ears all seeming to belong to someone else and not the mousey, scholarly young man. He had been thoughtful and sensitive though, always a loyal friend – and always failing to meet his father’s expectations. …They were still climbing, the horses labouring now as the wheels stuck in deep ruts or lost their grip on loose stones. Open grassland spread out on either side and Laurel dropped the window, filling the stuffy interior of the chaise with cool air and the sound of bird song all around them. ‘It feels like the roof of the world,’ she said as they came to a halt and she realised the vehicle was on the level. Then she hastily adjusted her veil as the stranger brought his horse round and leaned down from the saddle to look through the open window. ‘I have been looking at it, thank you.’ Definitely not a gentleman if he persisted in talking to a lady to whom he had not been introduced. With the maid’s stare heating the spot between her shoulder blades Laurel picked her way along a side track and was suddenly not only on the roof of the world, but on its very edge. The close-cropped grass fell away at her feet, the valley of the Avon spread out before her. The face of the Downs was marked with deep, wide, dry valleys, as though a giant had pressed his fingers into the earth while it was still malleable, and the grass was starred with the white shapes of grazing sheep. ‘Oh, how lovely.’ She flipped back her veil to see better, the breeze a cool caress on her cheeks. Beside her the stranger watched the retreating maid, then turned back to Laurel, his gaze sharpening as he took in her unveiled face. Surely she had imagined the fleeting puzzlement in his expression, because it was not there now. ‘Yes, it is lovely,’ he agreed. ‘I have missed England in the Spring.’ So she had been right, he had been abroad. ‘Listen to the skylarks. See, there is one, so ridiculously high.’ He pointed, leaning right back to look up at the tiny speck far above their heads. Yes, yes you do. There was something about him, something so familiar, so dear and yet so tinged with regret and sadness – and yet, surely she had never met this man before. 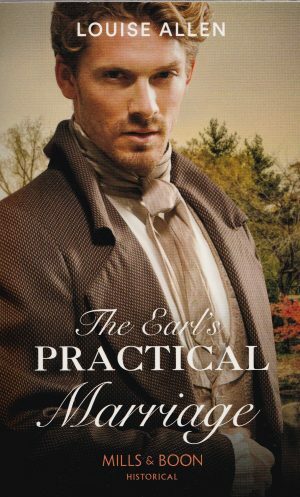 She stood there looking deep into the blue depths of his eyes, stood far too close, too long, his palms warm even through the thickness of her pelisse and gown. Then he took his hands away as though freeing a captured bird and, very slowly, giving her all the time in the world to run, he bent forward until his mouth met hers. It was the merest brush, a caress without pressure, without demand. He stood still, lips slightly parted as hers were, exchanging breath in a way so intimate she felt an ache of longing in her breast. She lifted her chin and walked away towards the chaise without a word, lowering her veil as she went.